I got a surprise package in the mail!! My Auntie Ann, who is an avid supporter of Temptations on QVC, bought this for me. A nice big casserole dish, 4 little side plates and corn cob holders, its just wonderful. Thank you, Auntie Ann. I love you! Yes, you have a nice collection. 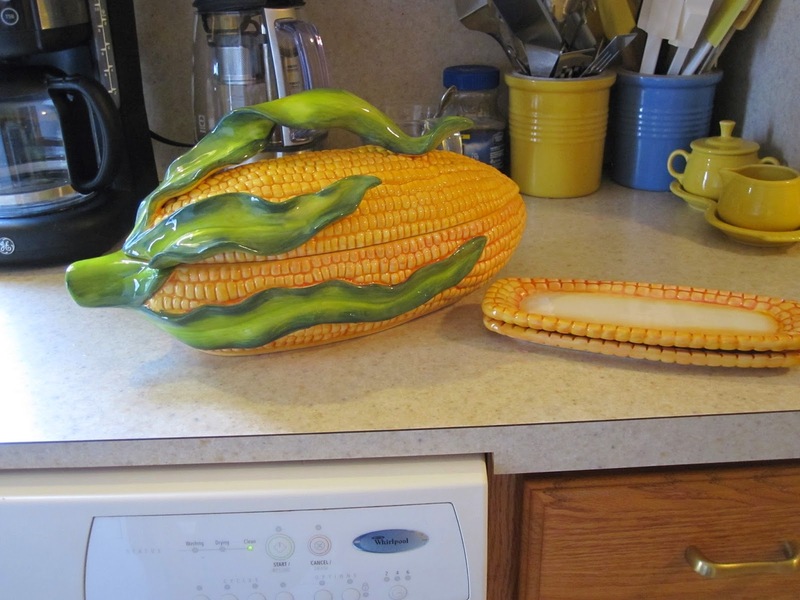 I have some other "corn" type dishes from both of my Grandmothers, these will look nice with them....I just need a bigger cabinet to put them all in! !